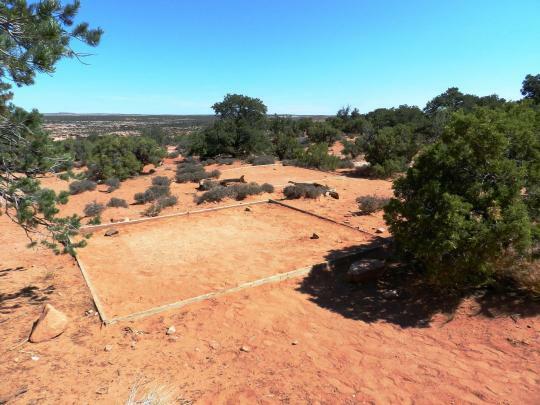 Nestled within a grove of junipers, the Kayenta Campground at Dead Horse Point State Park offers a peaceful, shaded respite from the surrounding desert. 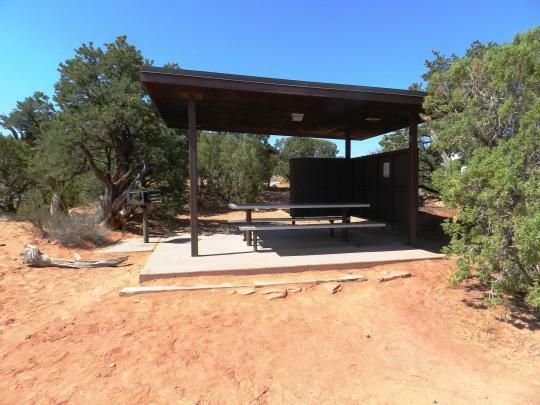 All 21 campsites offer lighted shade structures, picnic tables, fire rings, and tent pads. All sites are also equipped with RV electrical hookups (20/30/50 AMP). 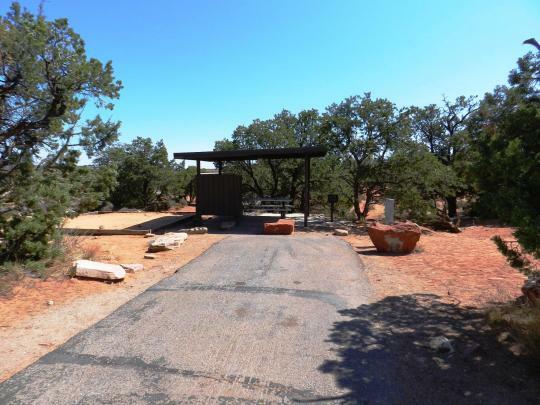 Modern restroom facilities are available, and hiking trails lead directly from the campground to various points of interest within the park including the West Rim Trail, East Rim Trail, or the Visitor Center. 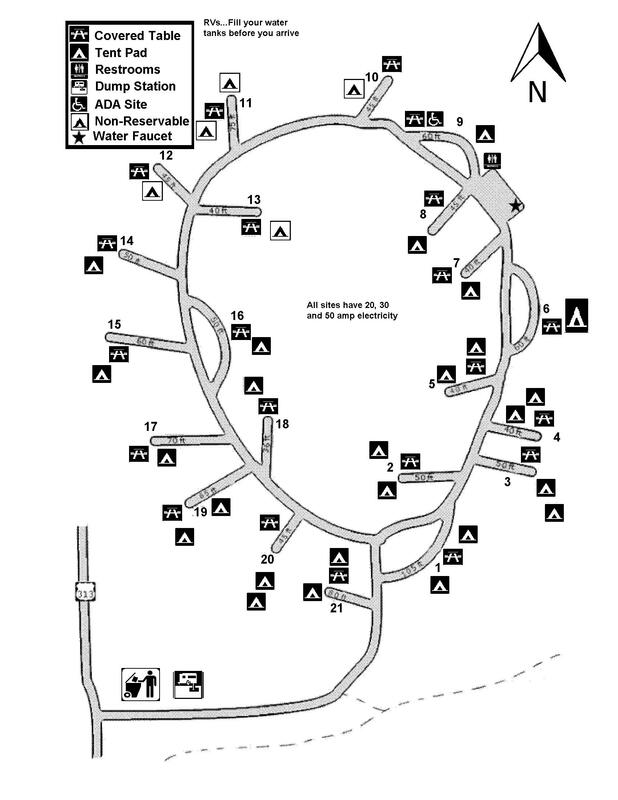 For individual site dimensions, take a look at our campground map. Water is not available to fill up RV’s. The water table is too low for a well so the park must truck it up every day. The closest town to fill up at is Moab, UT. Pets must be leashed and attended to at all times while outdoors. Pets may not be left outside unattended. Doggy waste bags are available throughout the park. 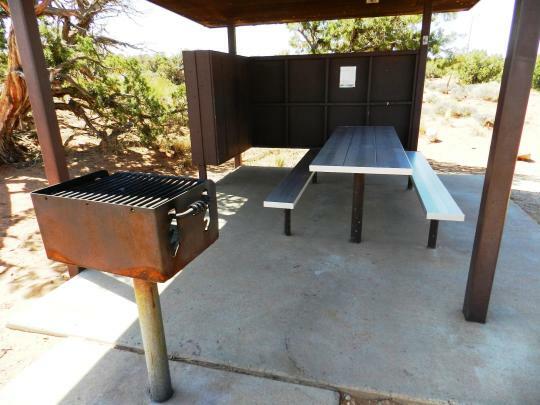 Fires are permitted in the established fire pits of the park; however, wood can not be gathered from the environment. 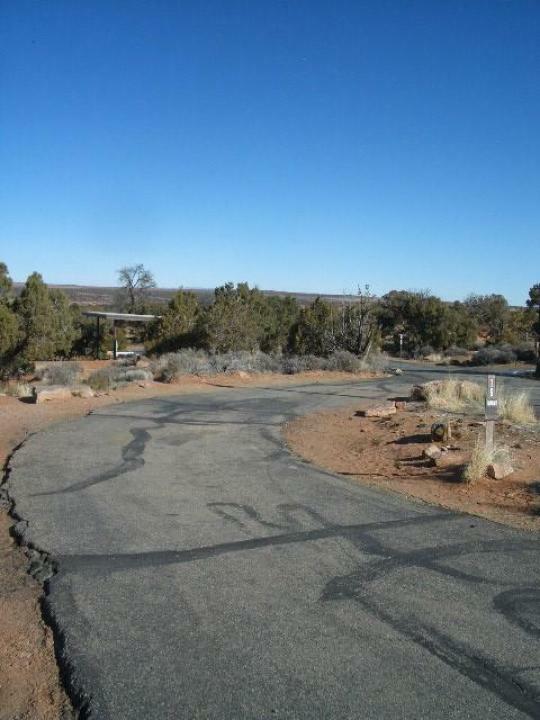 Bundles of wood are sold at the Visitor Center and Entrance Station or in Moab. 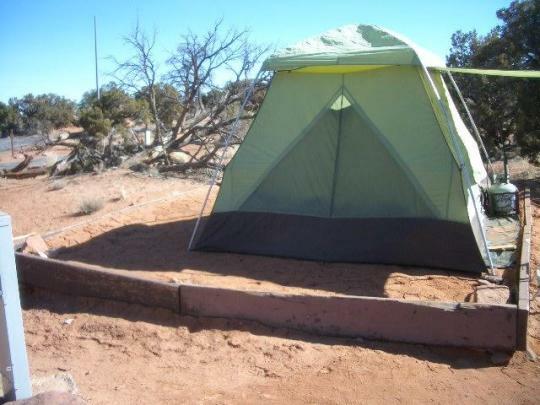 Keep your campsites clean. While we are not in bear country, any animal that gets human food can become a nuisance animal and pose a threat to safety of self and property. Food and trash must be kept in hard sided containers or vehicles. Would you like to try glamping? Check out our yurt rentals.